We all have seen players completely take their GM by surprise. Usually, the GM has planned one or two specific ways for the players to handle a challenge… and the players try something completely different. This creates a crossroad for the game. Is the GM willing to consider alternative solutions to the problem? I’m not saying that the GM should always give in to what the players want, but they SHOULD be open to considering logical solutions other than the ones they planned. When the players’ options are allowed, the game changes from the general mice in a maze scenario to a game where players are empowered. The players can stop looking for the “right answer” and really approach the problem from their character’s point of view. The mere possibility of creative success supports the role-playing aspect of a game. As a GM, there are some important things to keep in mind with this concept. Mainly, just because you let the party try something, DOESN’T mean it has to work. Maybe their logic is off, maybe there are some factors they aren’t aware of, or maybe they just roll badly. Let them try it, and let them pay the consequences if they fail. However, if their logic is sound and they roll well, they should be rewarded with success. They shouldn’t fail just because it’s a different solution than you planned. 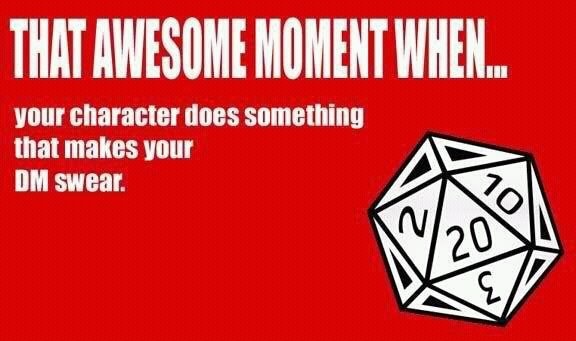 I saw a great example of this in a recent Pathfinder game. The party was on a pirate ship and planning a mutiny, but they wanted to take out as much of the enemy crew as possible quietly. They decided poison was the best way, but none was available on the ship. They came up with the idea of summoning a viper and milking it for its venom. Although the summoned creature only materialized for a short period of time, they rationalized it by citing the rules that stated anyone poisoned by the viper would stay poisoned after the animal dissipated, thus, the poison didn’t dissipate with the creature. The surprised (and delighted) GM ruled in their favor, and a bunch of cruel pirates died mysteriously after their nightly ration of rum. Keeping your game off “rails” will really benefit the players and the GM. It will encourage the players to explore the world that you create, and to deeply embrace the character that they are playing. The GM gets to enjoy watching the players revel and fully explore the universe they created. 4 Responses to "Empowering Players"
I am 100% in agreement. Same as a player plays a type of character role in the game, the player whose role it is to be GM/God is not that which he plays in game in his real life. A GM-player is not omniscient and all players acknowledging that humble fact best serve the game. All players must not look upon the GM as weak because he does not counter every suggestion with an answer, as if he sits an open book examination. That is so not what it means to be a GM, to my understanding. If a GM is agreeable to player agency taking the game into new and often adventurous directions then by definition the GM should not know all the answers. Some players will baulk at becoming a GM if they think the role involves an oral examination of established systematic rules around a table of inquisitors. 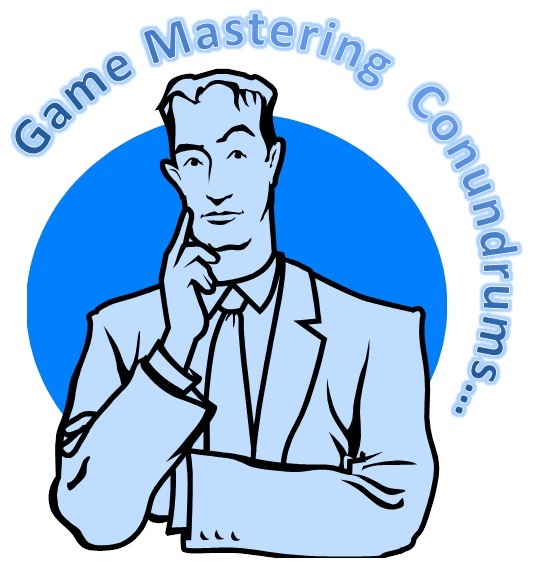 If the player in the role of GM is amenable to out–of–the–box thinking then so too must be the other players. It requires allot of trust from both sides as well as acknowledgement that the game is active, not passive but a network of intra-activity. The game becomes more about “ways of how” than “ways of what.” This out–of–the–box conceptual social play is a tremendous strength, which all tabletop role–playing games (including GM-less RPGs) have over any other game: tabletop or video. I completely agree with this, I have some great experience of this; my favourite being the players having to sort out some thugs threatening a farmer’s livelihood. Expecting the players to go for a straight fight I was surprised that they chatted and convinced the thugs they were the next shift, this was done by a halfling bard. I loved it as a GM as it kept me on my toes and made me think, it also showed that players were playing real characters and not just tropes. Joining the chorus of agreement, without reservation — but also, that bit about summoning the viper struck me as very clever!